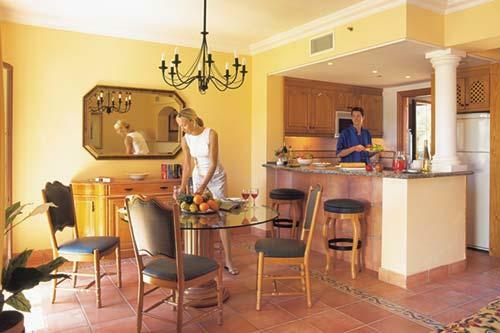 Timeshare at Marriotts Club Son Antem you are surrounded by the crystal clear Mediterranean Ocean. Mallorca boasts white sandy beaches and secluded inlets and coves. This is the ideal setting for an active vacation, with two volleyball courts, a basketball court, and access to two 18-hole golf courses, a Golf Clubhouse and Spa, as well as opportunities, in close driving proximity, for boating, snorkelling, and diving. 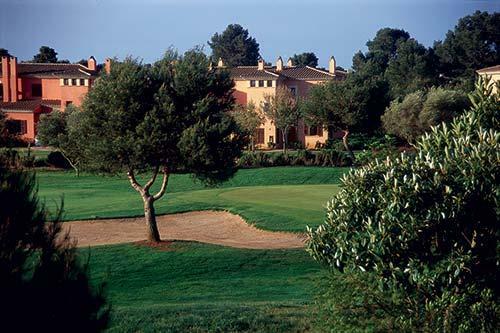 Each two- and three-bedroom villa provides views of the golf course. Amenities include a whirlpool tub in the master bath, a fully equipped kitchen, utility room with washer and dryer, a barbecue grill on the terrace, and high-speed Internet access. 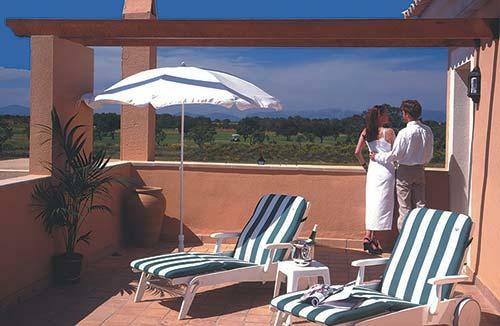 The on-site Mallorca Marriott Resort Hotel also offers fine dining. Owning your very own Marriott timeshare you can exchange worldwide through the main exchange company’s in luxury 5 star resorts always enjoying like for like accommodation.